A 31-year-old man was reportedly shot and injured in the Forester Gardens Apartments parking lot Monday evening, August 17, 2015. 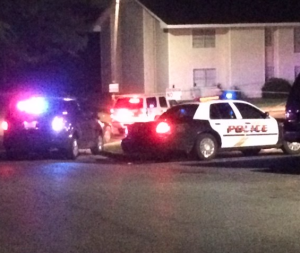 Fox 6 News reports, “[o]fficers responded to reports of a shooting at 7:30 p.m. Monday at Forester Gardens Apartments, located in the 1300 block of James I. Harrison Parkway. There, they found a 31-year-old male victim suffering from a gunshot wound to his head.” Per media reports, police investigators believe “that the victim was pulling into the parking lot when the suspect began shooting at him.” The news report indicates “the suspect continued to shoot after the victim got out of his car and eventually fled the scene.” The victim was reportedly transported to DCH Regional Medical Center with a gunshot wound to the head. His current condition has not been released. Residents and guests of apartment complexes have a right to feel safe and secure while in the community, and The Murray Law Firm questions the level of security provided to those on the property. Did the suspect gain entry to the apartment complex parking lot? What access-controls and security measures, such as gated-entry, fencing, bright lighting, security patrols, and surveillance cameras, were in place and working at the time of the shooting? How many prior incidents of violence have occurred on or near the property? What security precautions, if any, have been implemented by the Forester Gardens apartment complex owner and management to protect residents and guests? By law, apartment owners are required to protect all residents and guests legally on the premises from any foreseeable harm. Should the facts of this matter reveal that the apartment complex owner or management company failed to provide adequate security to protect those on its premises, the victim or the victim’s family may elect to pursue a legal claim for his injuries. Under such a claim, the victim may be entitled to substantial compensation. Given the complexities of pursuing a negligent security case, it is imperative that the victim retain an experienced attorney who can ensure the preservation of any and all evidence that may support such a claim. Based upon its prior experience in handling apartment security negligence claims, The Murray Law Firm suggests that photographs and a through, unbiased inspection of the property will need to be performed immediately, before any evidence may be repaired, damaged or destroyed. The Murray Law Firm has extensive and successful experience in representing victims of gun violence and apartment security negligence. We offer our legal assistance, if desired. We represent our Clients on a contingency agreement, which generally means that no fees or payments are owed until and unless we recover. Anyone seeking further information or legal representation is encouraged to contact us via e-mail (click here) or by telephone at 888.842.1616. Consultations are free and confidential.